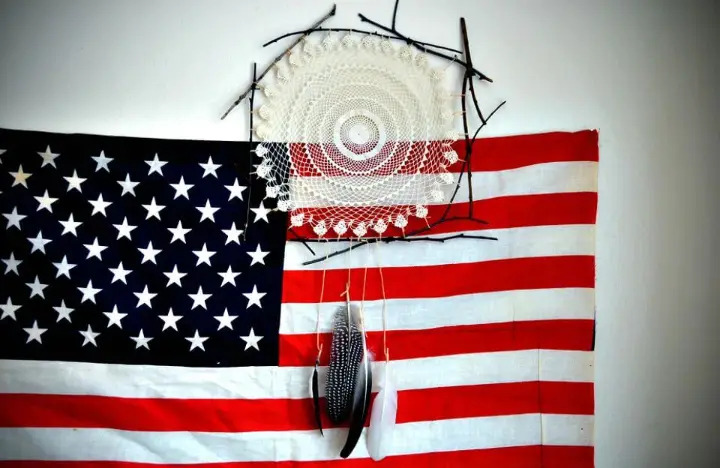 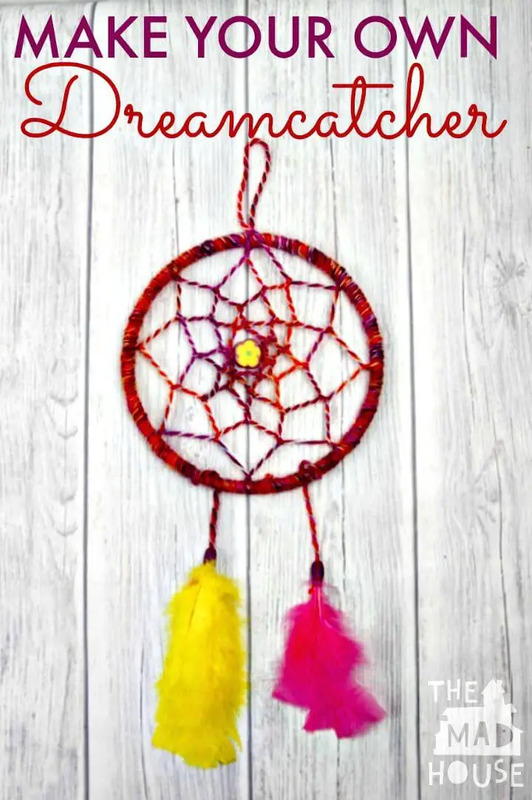 Dreamcatchers have a great historic past which is having roots coming from the Ojibwe Native American people who are considered the very first farmers of the dreamcatcher! 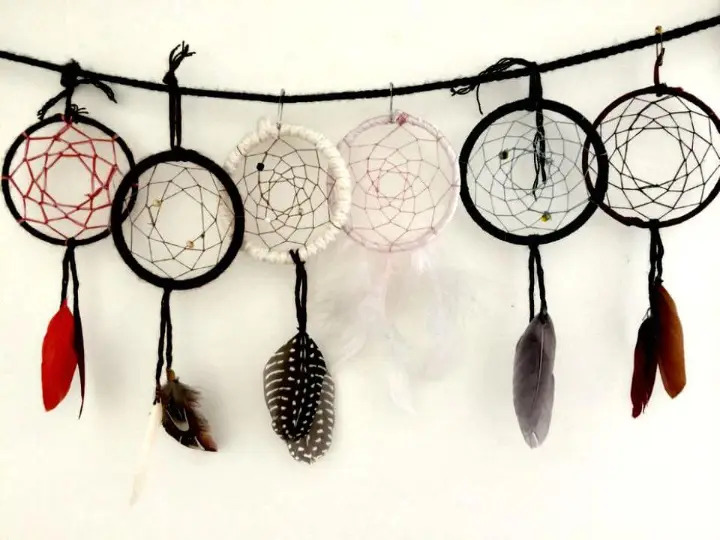 They had been seen using the dreamcatchers as a miraculous tool or sign that helps filter out bad dreams and bad spirits and only allows the positive dreams to reach to sleepers! 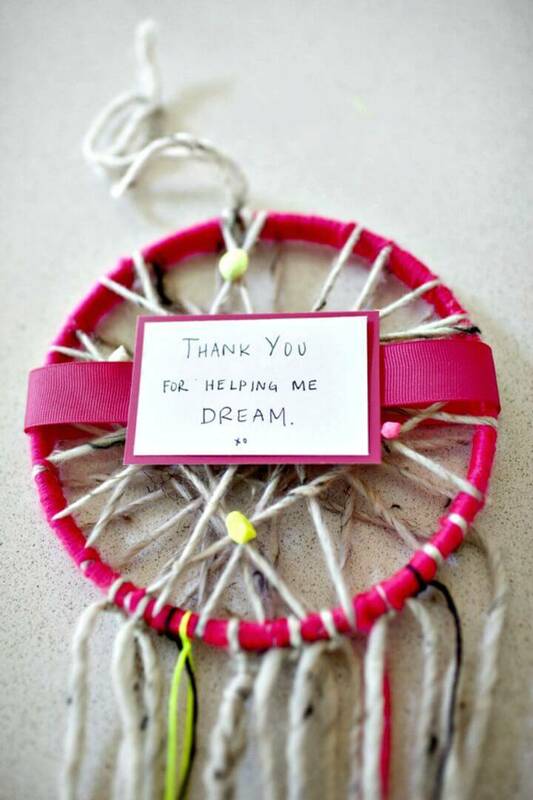 This tradition is still linked to dreamcatchers and hence the dreamcatchers are still popular in Native American people! 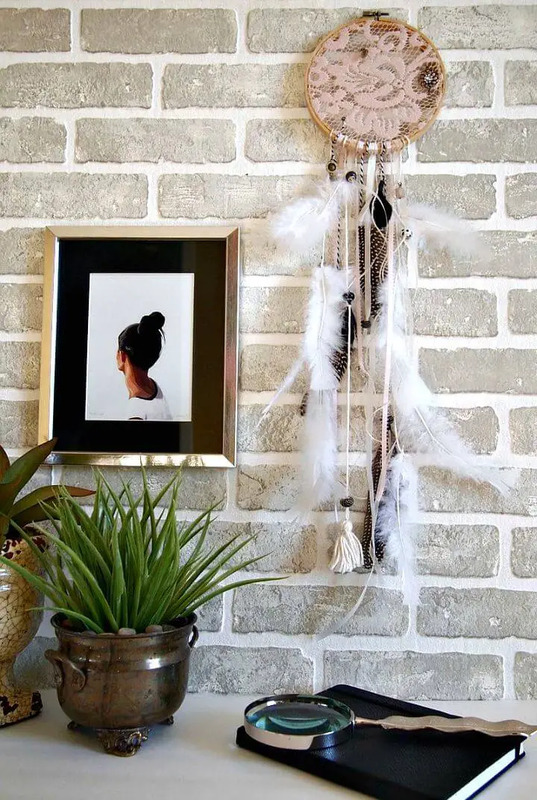 On the other hand, besides of the being holy and pious symbols or signs, they also a very eye-catching item of home decor for many of us and hence they can be hanged to different of your favorite locations and interior walls as an enticing charm! 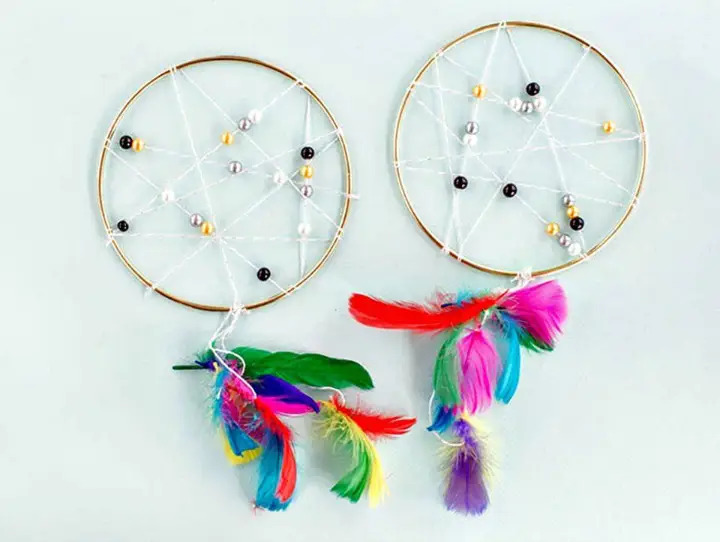 This pretty type of decors, the dreamcatchers can be seen mostly hanging on the bedroom walls, on the doors and also on various other locations of outdoor! 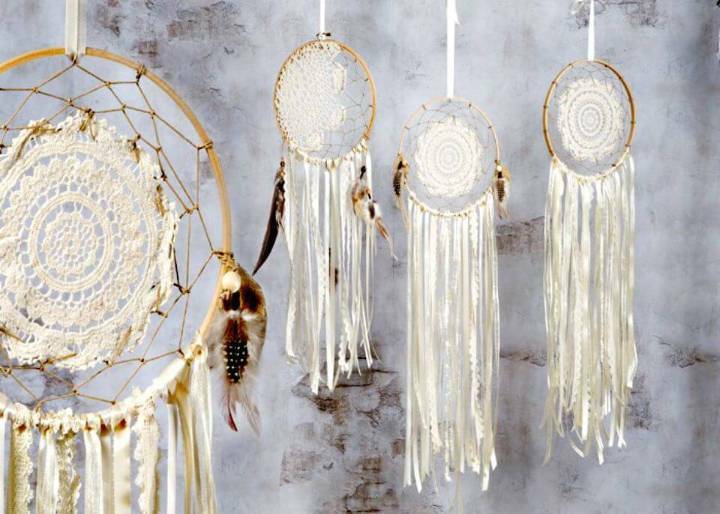 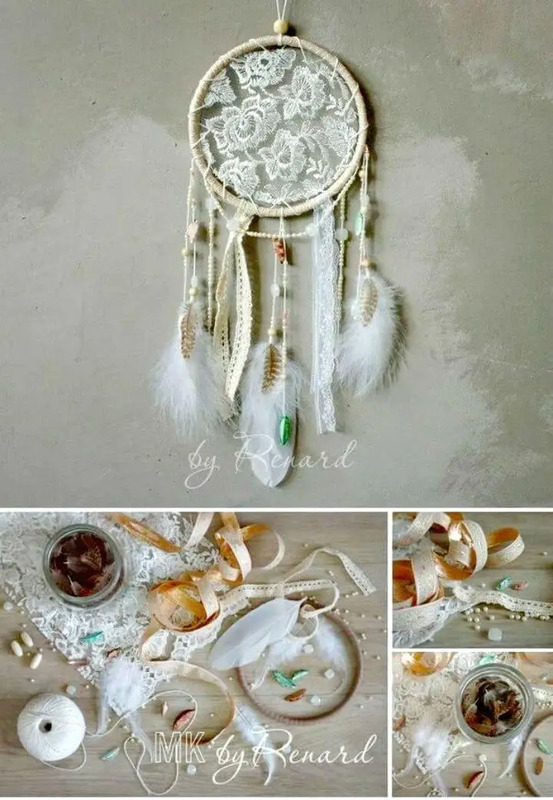 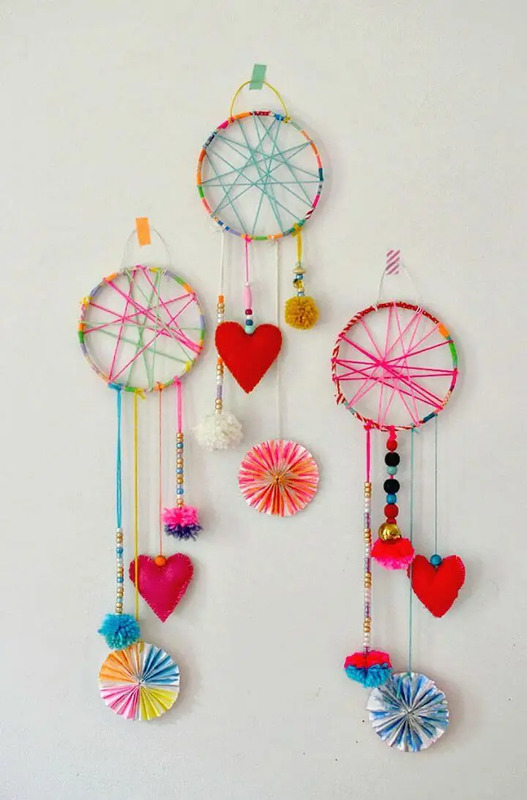 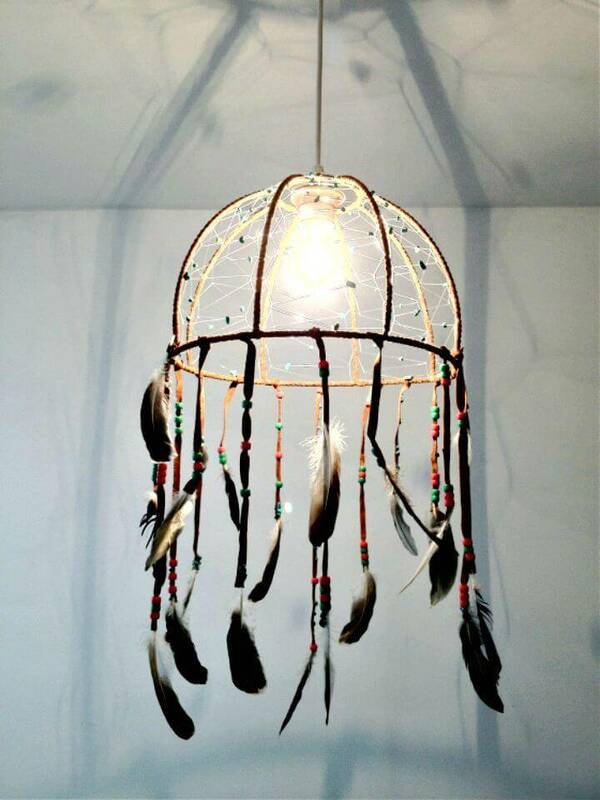 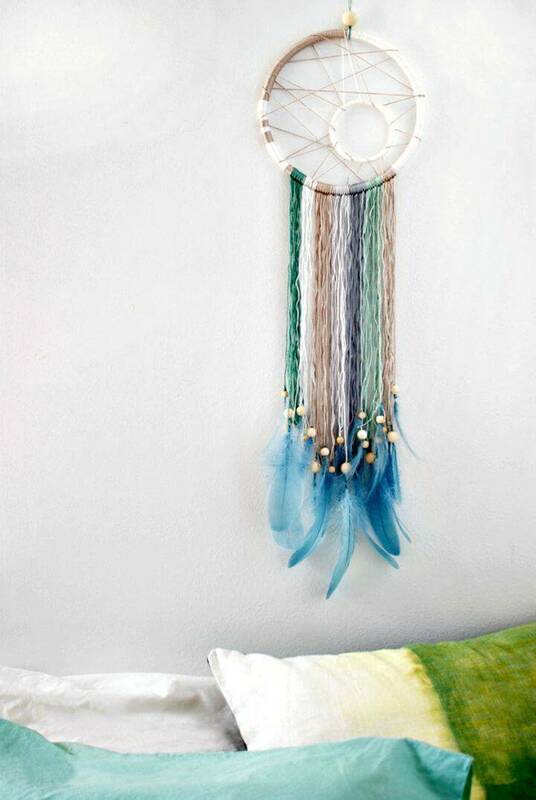 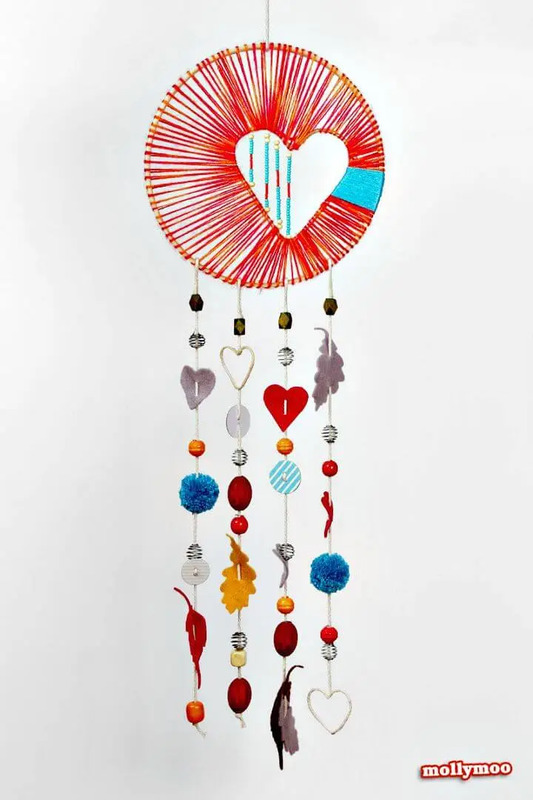 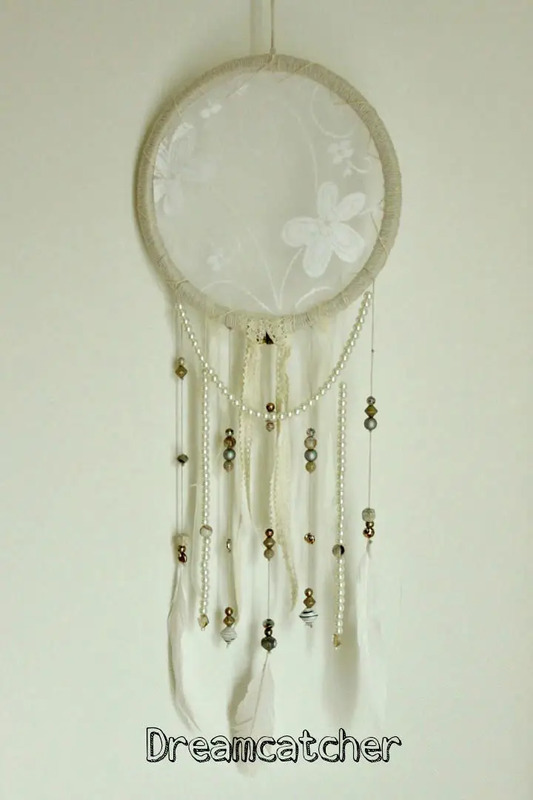 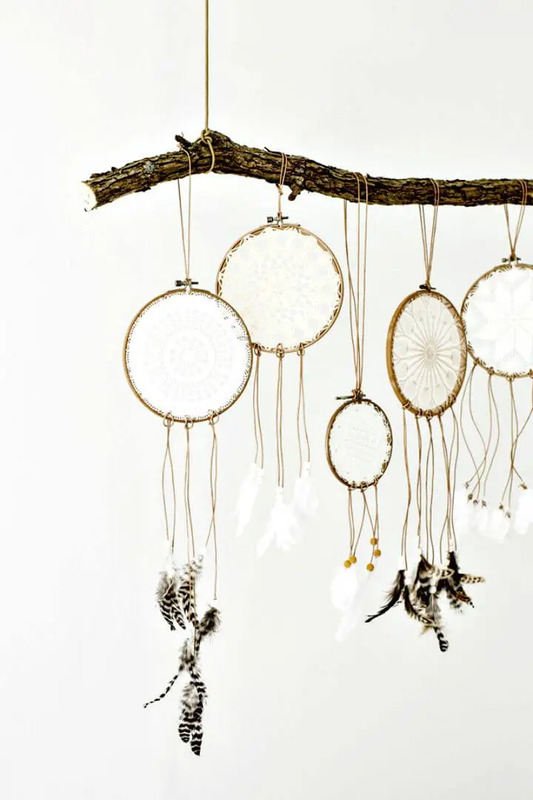 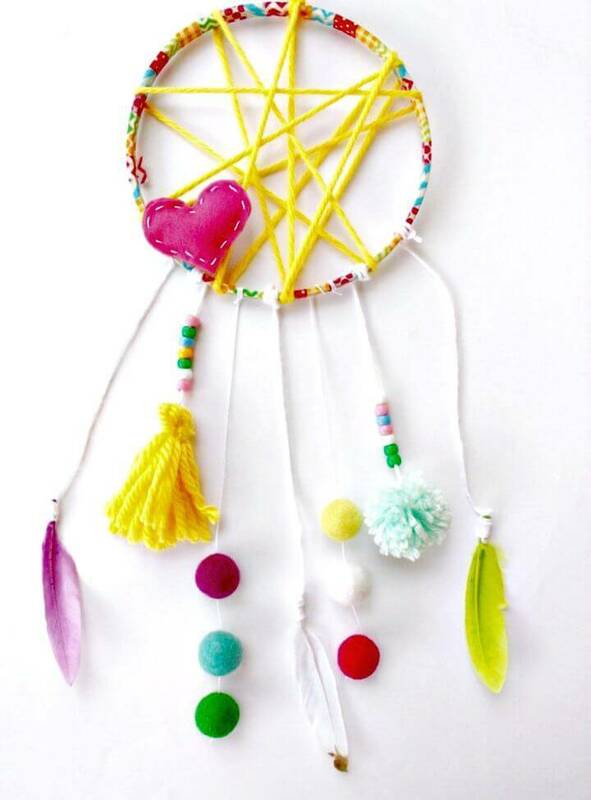 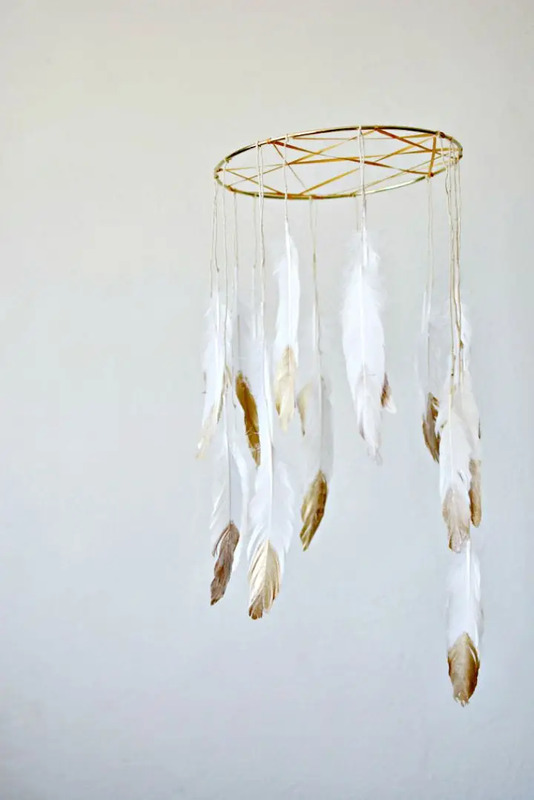 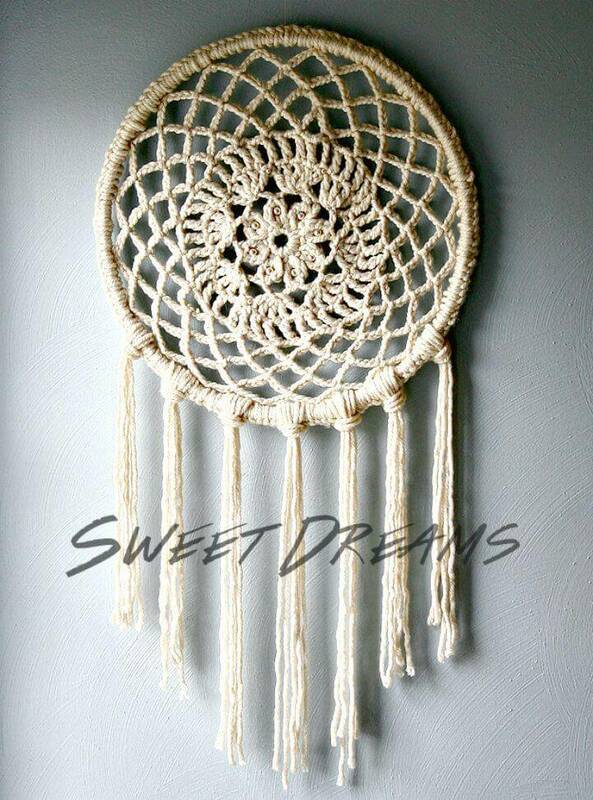 So, whether you are intending to boost the home decors or just willing to give some best wishes to sleepers, the dreamcatcher would just rock for either purpose! 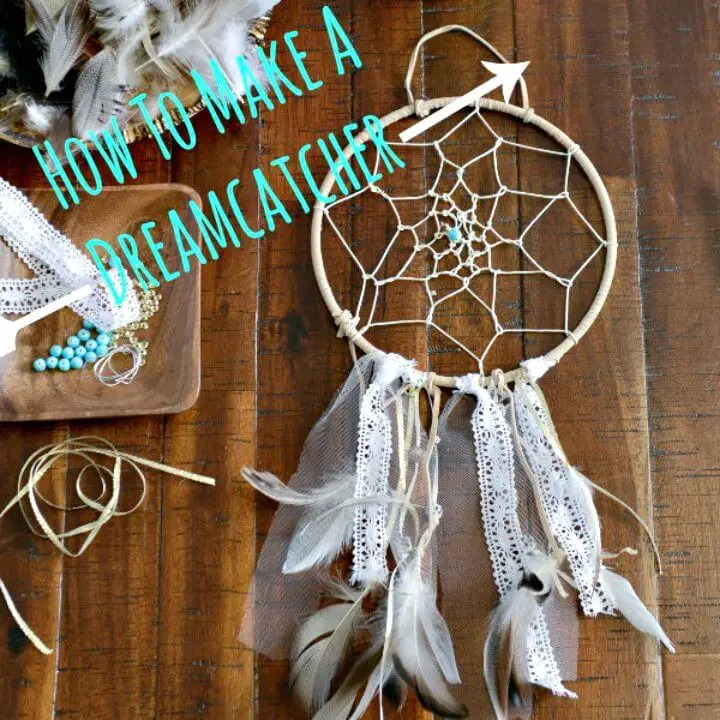 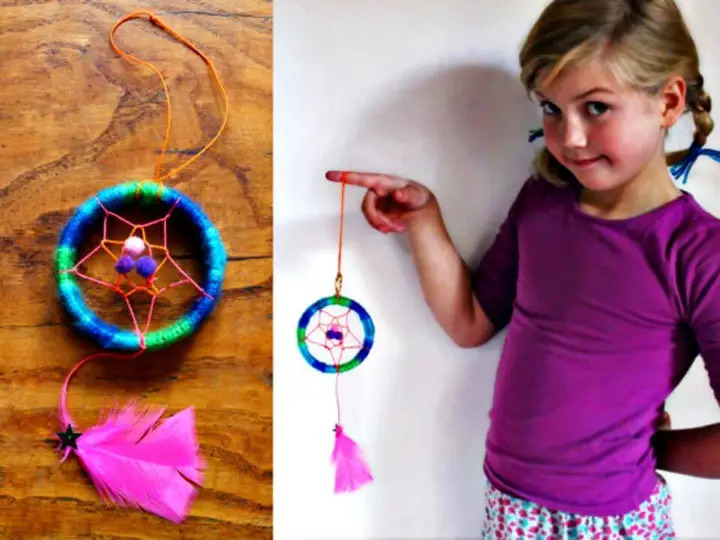 So, if you have decided to gain some dreamcatchers then the very good news is that you can easily make them at home using your own creative hands and the smart brain! 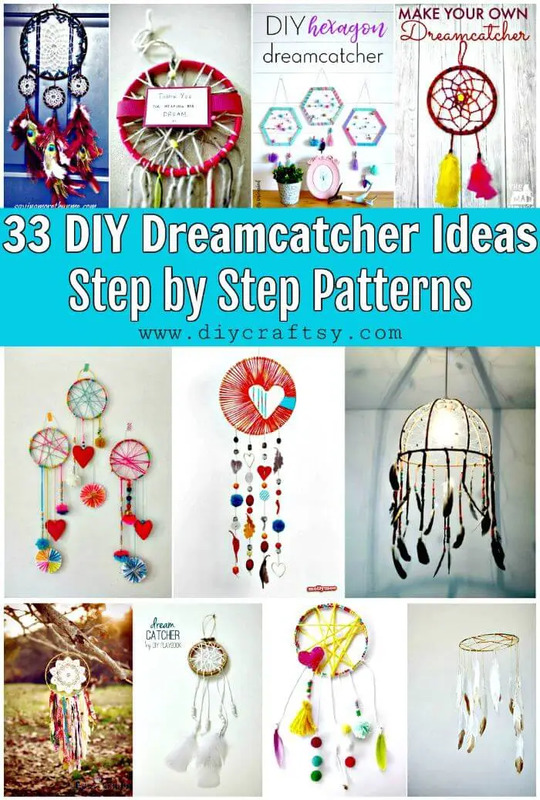 To help you out thoroughly, we have brought here these 33 DIY Dreamcatcher Ideas with Step by Step Patterns for you that will make great inspirations and are super easy to make! 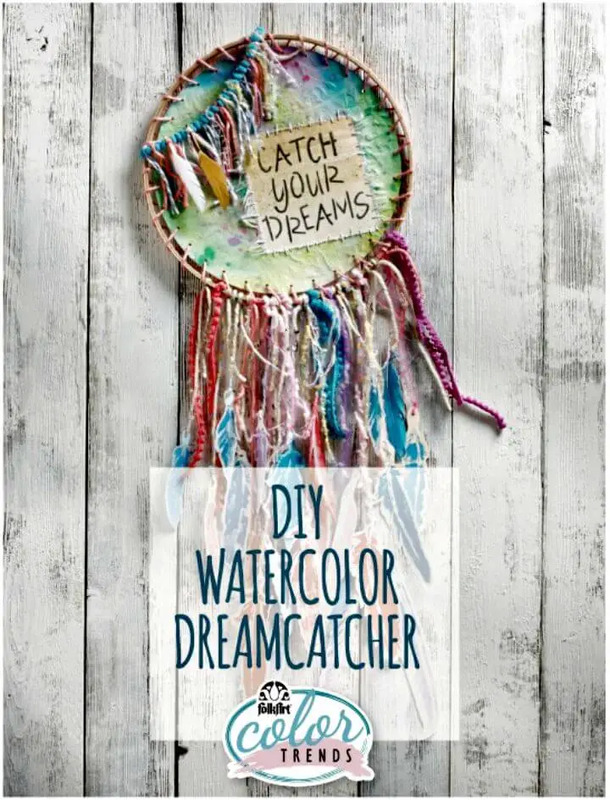 Here the signature feature of all these DIY dreamcatchers is that they come with a round symbol that is having some decorative hangings attached to bottom half of it! 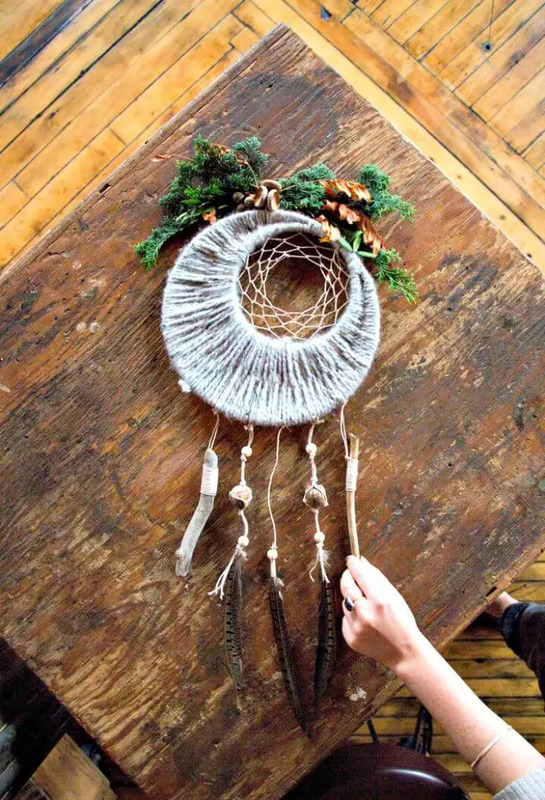 Use the embroidery hoop, brass rings, and even the plastic rings or bracelets to make the dreamcatchers that can be filled with the yarn webs that can easily be laced inside the ring or hoop just by going with some measurements and smart knots! 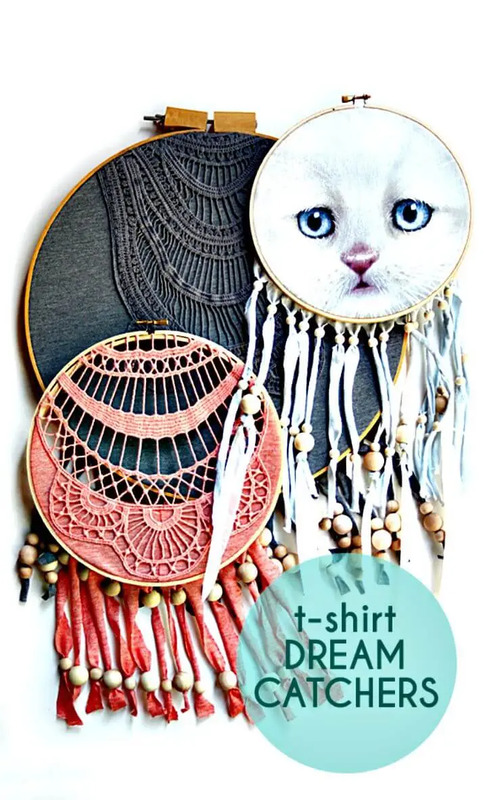 If you are not handy at knots or lacing the yarn, you can fill the hoops with other ready-made accents like with a piece of lace fabric, with a doily, with t-shirt cutouts, with beaded yarn strands and also with crocheted mandalas! 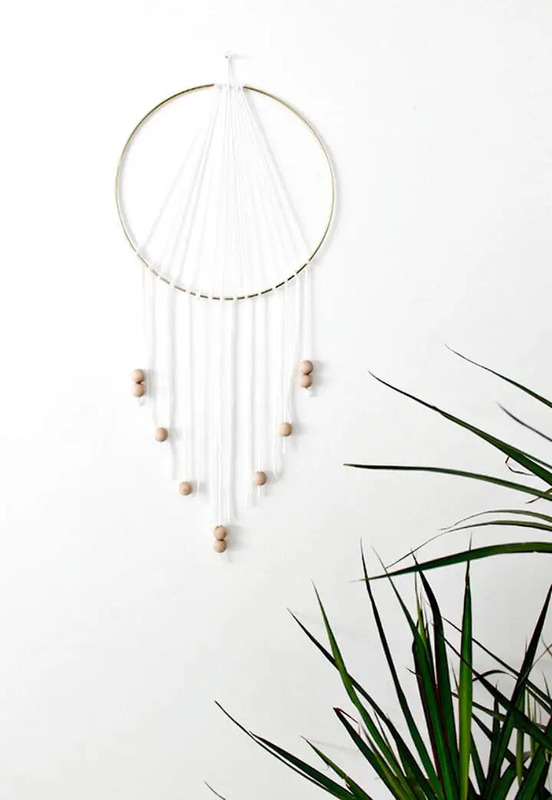 Next, you can also go smart with the yarn or twine and can fill the inside of the hoop by weaving some circles, rounds and custom patterns you like! 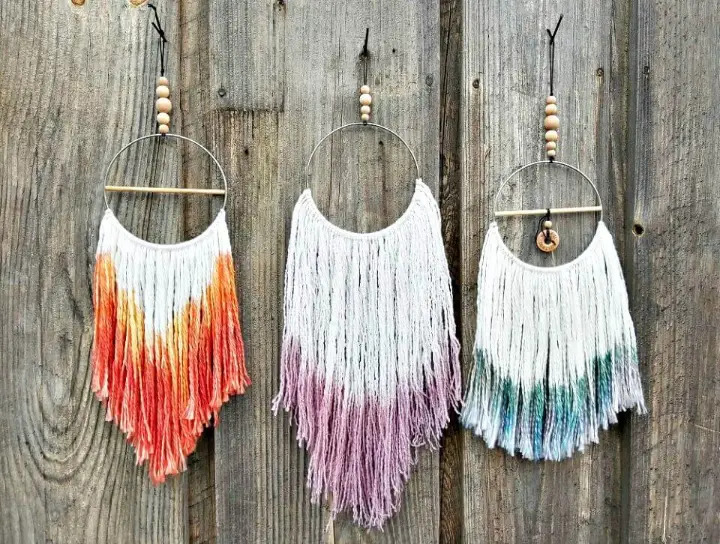 Another smart way would be to install some mini rings that may also come in a heart shape, inside the hoop and then you can put them both together through some yarn loops that will cover the entire hoop! 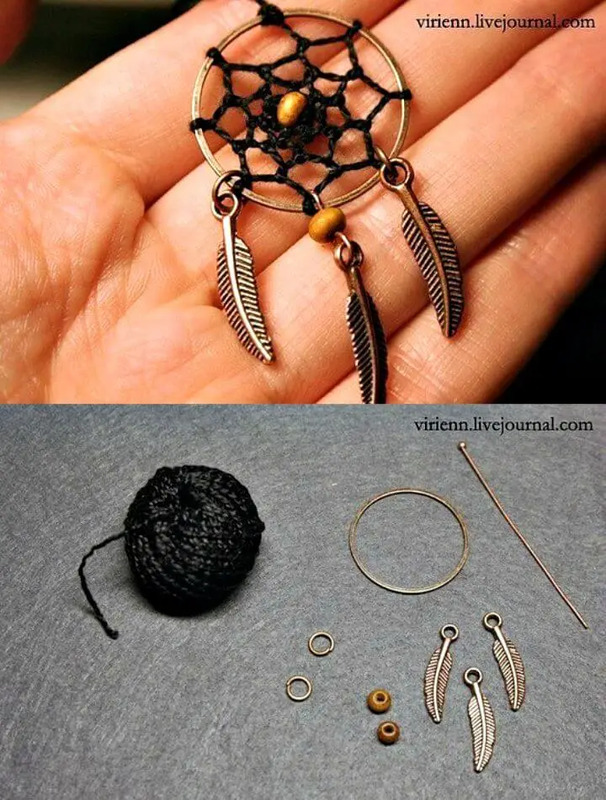 Just check out some outstanding samples and examples given below! 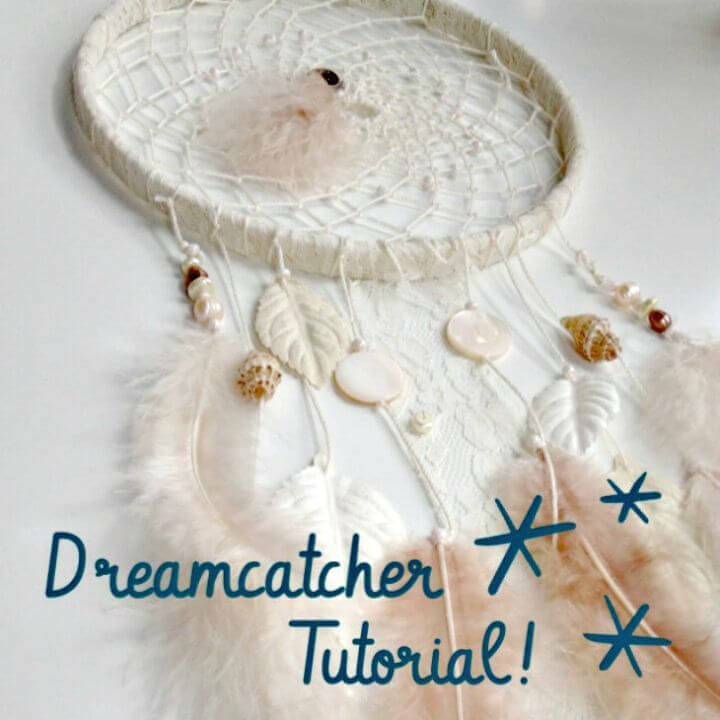 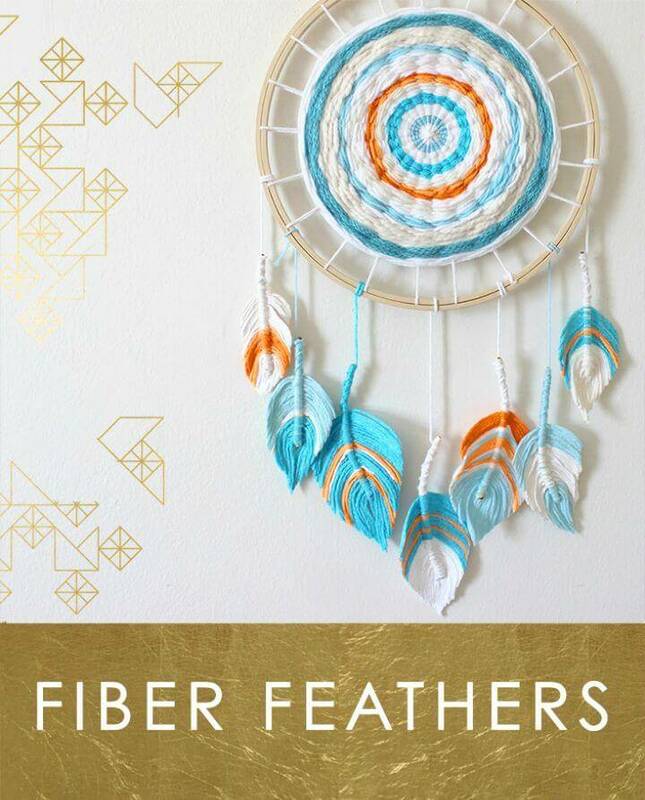 Just string up beads, pearls, twin shapes, stuffed hearts and other accents and just end up your beaded strands with feathers to make beautiful hangings for your dreamcatchers! 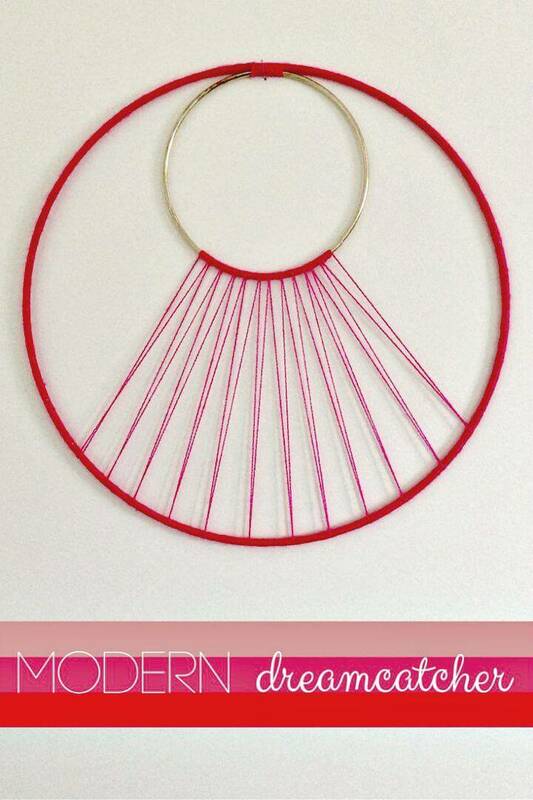 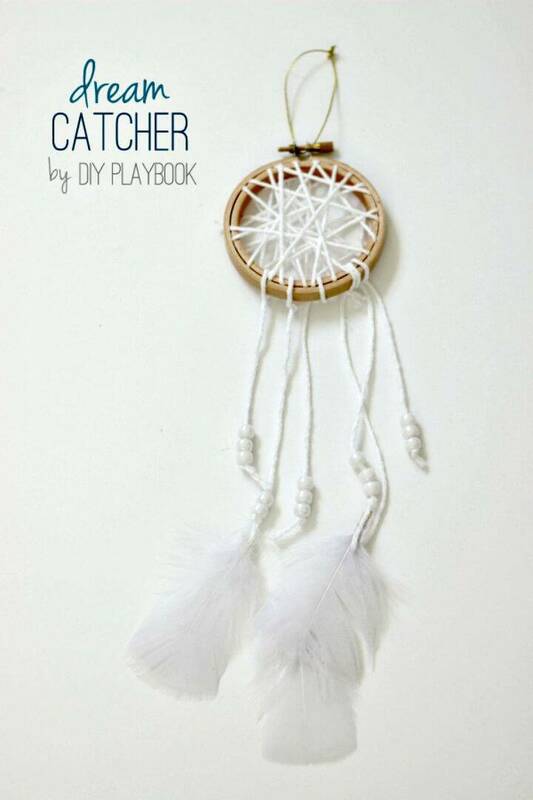 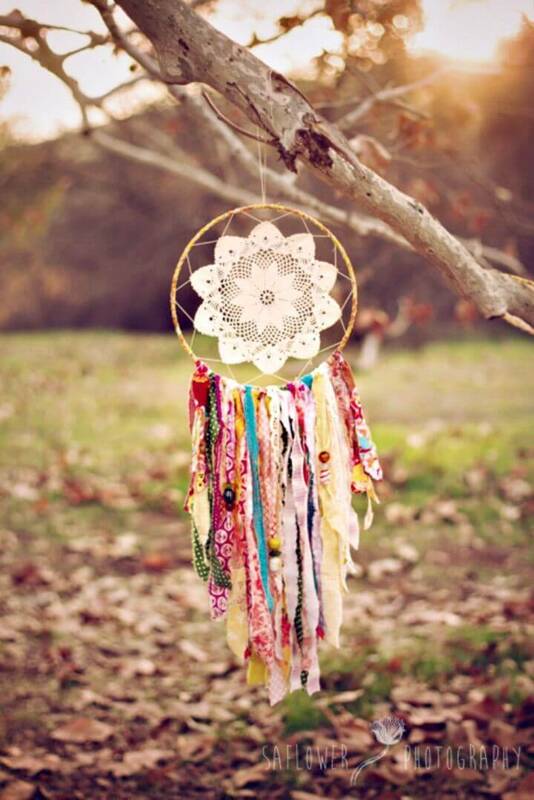 Vary the hangings and the style of filling of the hoop to give amazing variations to your dreamcatchers! 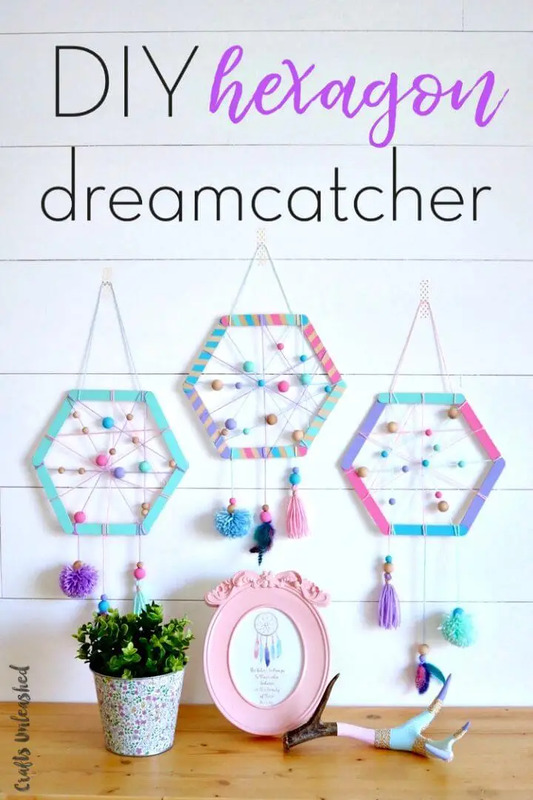 Browse the entire collection to see more amazing DIY Dreamcatcher Projects and Ideas for free and also select your favorite ones to copy at home! 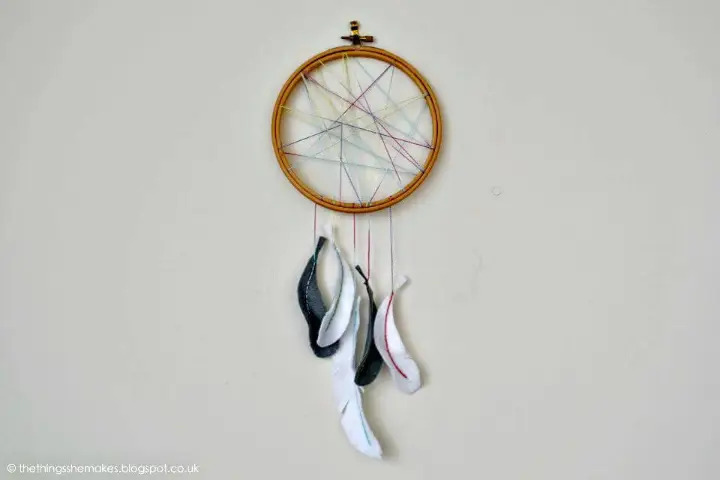 Click the respective attached links to open up the complete project details along with getting the free tutorials and instructions!